The Cave of Anemotrypa is located near the village of Pramanta at the southeast part of the prefecture of Ioannina, at an altitude of 900 m. In 1960 it was excavated by the caver Anna Petrochilou and nowadays 270 m. from its total 350 m. of its length are accessible. 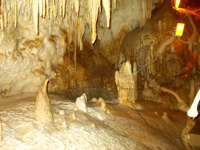 the highest one is not accesible beacause it collapsed during the past years, the middle one is the appropriately formulated route for tourists and the lowest one is the river-bed of the underground river that crosses the cave. 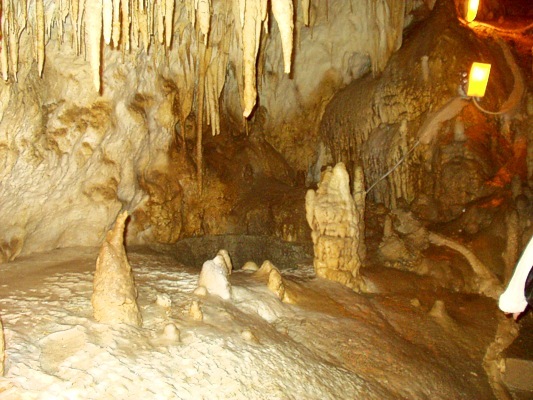 The cave is separated to “halls” connected by corridors, sometime uphill and sometime downhill. Impressive stalactites and stalagmites, waterfalls, little lakes, an underground river and beautiful colours compose a breathtaking place worth visiting it. 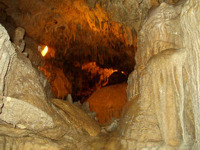 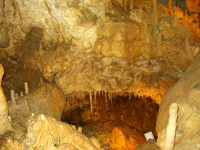 The cave of Anemotrypa is at a distance of 60 km from Ioannina and 65 km. from the city of Arta. 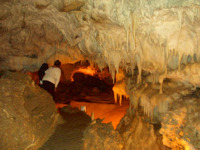 Outside the cave there is a snack bar – restaurant where yoy can also find the tickets for the entrance in the cave.